The word HTTP/3 will astonish many as HTTP/2 yet not widely adapted (34% world adoption rate). HTTP/3 or HTTP-over-QUIC is the next protocol after HTTP/2 and HTTP 1. HTTP/3 will be a combination of SSL and TCP. HTTP/3 will use QUIC for transport. HTTP/3 will be the third major version of the Hypertext Transfer Protocol and based on previous RFC draft “Hypertext Transfer Protocol (HTTP) over QUIC”. 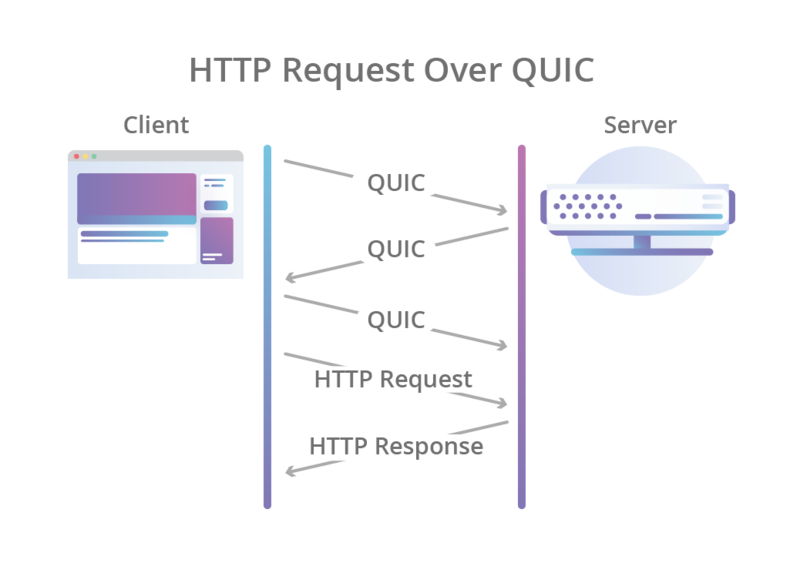 Possibly it is known to the readers, that QUIC is an experimental transport layer network protocol initially developed by Google. On 28 October 2018 in a mailing list, chair of the IETF HTTP and QUIC Working Groups, made the request to rename HTTP-over-QUIC as HTTP/3. By November 2018, officially HTTP-over-QUIC become HTTP/3. QUIC switched to the alternative User Datagram Protocol (UDP), which was designed for low latency communications. TCP is a good protocol, when the protocol was designed that was ideal for the early web applications. But apart from many matters, TCP layer is venerable. HTTP/3 being a combination of SSL and TCP, will help to cut down on the initial connection time by including the SSL (Secure Sockets Layer) handshake time required in the TCP setup. Also, advantage of SSL session reuse to reduce the overhead in a key area over HTTP (recall HTTP/2) remaining. Switch to UDP is the reason because Google did not continued with it with SPDY. QUIC is similar to TCP+TLS+HTTP/2 implemented on UDP. As TCP is implemented in operating system kernels, making significant to TCP is impossible. Present QUIC is built on top of UDP and suffers from no such limitations. HTTP/3 will become an official standard once the draft expires on June 2019. But dev versions of web server software and installation guides will take more time to appear. You can easily rely on HTTP/2 for the year 2019. This Article Has Been Shared 7405 Times! Broadband indicates a bandwidth or a frequency range, which is very large or rather wide. We often forget to talk about very basic topics instead buzz words. Dynamic Domain Name System record or Dynamic DNS or DynDNS or DDNS is a system of information technology, in which real-time domain name entries can be updated. Cite this article as: Abhishek Ghosh, "HTTP/3 : The Next Protocol After HTTP/2 and HTTP," in The Customize Windows, March 25, 2019, April 18, 2019, https://thecustomizewindows.com/2019/03/http-3-the-next-protocol-after-http-2-and-http/.